The CMS7000 is a high quality patient monitor with a complete range of measuring possibilities. 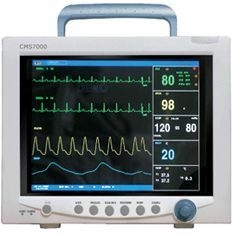 CMS7000 has a 12.1 inch TFT colour display and is adapted for bedside monitoring of adults, children and neonates. CMS7000 can also be put in a network and offers the possibility to print out data.